The Election Commission of India has told the Supreme Court that all voter-verified paper audit trail (VVPAT) machines would be available by September 2018, and electronic voting machines with VVPAT system should be available for deployment in the next General Elections to constitute the 17th Lok Sabha. During the last hearing, a bench had asked the Election Commission of India to ‘bring on record’ the approximate time within which the entire VVPAT system can be introduced. The bench comprising Justice Ranjan Gogoi and Justice Navin Sinha, taking into account these submissions by the ECI, closed the contempt petitions filed by the Backward & Minority Community Employees Federation (BAMCEF). The Supreme Court, in Subramanian Swamy vs ECI, had held that it is necessary to set up EVMs with VVPAT system to have fullest transparency in the system and to restore the confidence of the voters. However, the court had allowed the ECI to introduce it in gradual stages or geographical-wise and in a phased manner. The BAMCEF then filed contempt petition for not complying with the order. “It is anticipated that the all VVPATs machines should be available by September, 2018 and should be able to be deployed by and be in situ by February, 2019. As a result all VVPAT Units would be available by March, 2019 which is the expected commencement date of next General Elections to constitute 17th Lok Sabha,” read the statement filed by the ECI before the apex court. 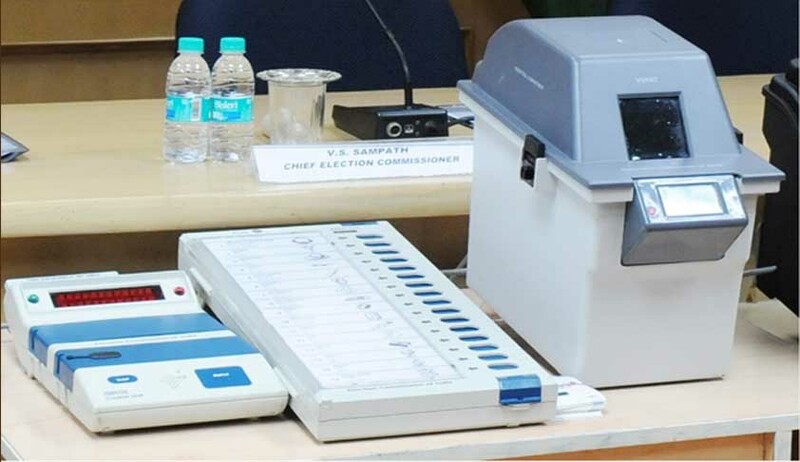 The bench was also told that the Election Commission of India had already placed orders with M/s Bharat Electronics Ltd., Bangalore, and M/s Electronics Corporation of India Ltd., Hyderabad, for the purchase of 8,07,500 VVPAT units.